When I began my personal recovery journey, I thought I was alone. I was embarrassed and ashamed. I thought I should just have more self-control or if I tried harder to moderate I would be fine. But I am not alone and neither are you. Addiction or dependence does not have to look like a DUI, it doesn’t have to have a dramatic rock bottom story, it doesn’t even have to look like Meg Ryan in When a Man Loves a Woman (I mean I kind of wish at least my hair looked that good, but she also slaps her daughter in the face so I guess it’s a trade-off). You are not broken, you are not alone. You do not have to be ashamed. 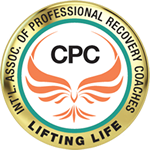 There is an entire community waiting to carry you and recovery coaching is a perfect place to start. 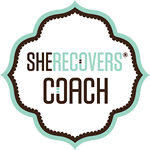 I am a Certified Professional Recovery Coach (CRPC), Certified Professional Life Coach (CPC) through the International Association of Professional Recovery Coaches (IAPRC) and SHE RECOVERS® Coach, which means that I am trained in, and my work aligns with, the SHE RECOVERS® Intentions & Guiding Principles.